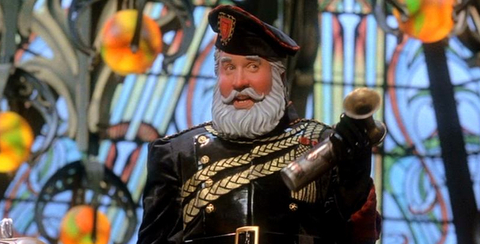 I remember watching The Santa Clause when I was a kid but while I liked it, I don’t think I ever watched it again but I still remembered it was a weird premise and the Oscar Meyer whistle ending but I never really felt like watching the movie again. Flashback to one day that I open up Netflix and see The Santa Clause 3 and a ridiculous cover and I kind of felt like watching the original but it wasn’t available. Then that idea morphed into me wanting to watch the entire trilogy for who knows what reason and culminated when I realized all the movies were now available to stream and what I planned to do over the next couple of weeks ended up with me watching them all in one day. Re-watched the first one after so many years and well it’s a kids Christmas movie alright and not great, maybe as a kid it was somewhat amusing but… I guess for adults it has the whole dealing with your kid while being divorced angle was done to keep it grounded but the movie is hard to watch. One thing I never understood is why so many Christmas movies and specials deal with Santa being real or not, I mean it was something I never really questioned until so many shows and movies brought it up to me. The general consensus is that this is the best and maybe I’m being hard on it as we see Tim Allen become Santa slowly but to me all it is for is to give us the origin of this universe. The second movie should have no right to exist as the original movie doesn’t really tell a story but an arc of how this man became Santa Claus but what else can you really do with Santa? Somehow Disney writers were able to come up with this story about Tim Allen needing to get a Mrs. Claus so he makes a Toy Santa to take care of things that turns into a dictator. This movie is no longer as grounded in reality as the first one tried to.. well in a world were Santa is real but that’s not a bad thing. The whole concept is so bizarre and out there that it’s quite entertaining, maybe some of the “Santa is real” ‘magic’ from the first one is gone but when you have a Santa against Plastic Santa can you really question it? They took nearly 8 years to make a sequel to the first film but they only took 4 to finish off Disney’s epic saga. sadly the story is rather uninspiring. Jack Frost while being smug he just isn’t as fun as Dictator Santa from the last movie but it had potential. Something worth noting is this whole divorced family seems more of a poly-friendly thing since they seem to get along extremely well that’s actually brought up in the film but also each movie retcons the original movie first with adding a second clause and then with an escape clause but I guess it goes with the titles. It definitely feels like a cash-in sequel but I’m a fan messing with timelines so it gets an ok in my book. 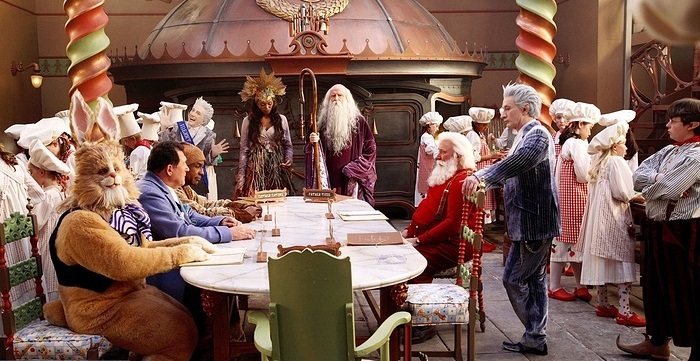 The best parts about the sequels are that while they kept some “realistic” elements they embrace the mythology of holidays and they even have a Council of Legendary Figures that includes the Easter Bunny, Mother Nature, Cupid, The Tooth Fairy, The Sandman and even Father Time. They could’ve easily made a spin-off about any of them, hell I’m now upset that never happened. I guess having a pregnant Mrs. Claus will have to be enough.